I will try not to complain about the weather, but a week of 40 and rain has definitely left me wanting warmth and sun. I am excited to enjoy a few days in the 70s this weekend, which to me will feel like summer. 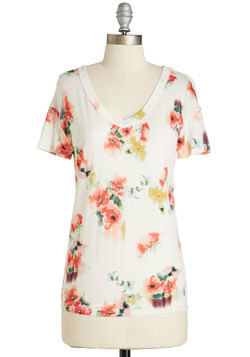 I love the bright colors in this shirt along with the vintage floral pattern. A go to tee. Everyday wear with jeans or pair with ankle pants and a cute heel. 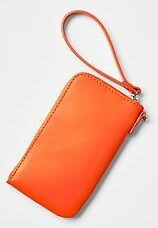 Add a pop of color to any outfit with this wristlet that makes a statement and screams sunshine! Almost all of the items I post in the 3 Under $30 series I do not own, although wouldn’t mind adding to my wardrobe. 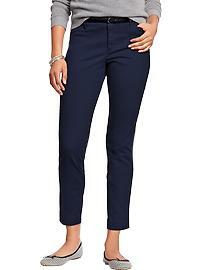 These pants are an exception and are hanging in my closet. I love how versatile they are, from casual and flats to dressy and heels. Im heading to Old Navy tomorrow. Can u send a link to those pants? Great find!!! Definitely pretty! I’ve not really been so focused on my sense of fashion in a while, prioritizing other things not that doesn’t mean I don’t love style though! I try to work with what I have and make it work. I’m big on accessories, cause then u could be wearing very plain clothes, but the accessories will dress it up big. Time! I took enjoyed the warm weather this weekend with lots of fun yard work. Looking forward to the gardening season.